Mercer University’s Eugene W. Stetson School of Business and Economics promotes the advancement and integration of quality business education and practice. In support of Mercer’s mission, the School provides undergraduate and graduate programs that are designed to enable, enhance and expand professional careers, civic responsibility and lifelong learning. Mercer alumni are successful entrepreneurs, serve in senior leadership positions at Fortune 500 companies and lead some of the country’s largest non-profit organizations. 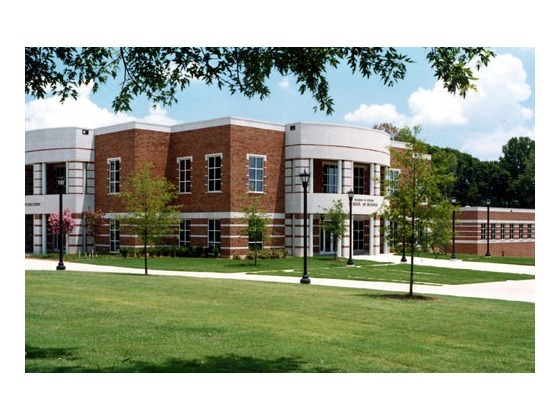 The School offers undergraduate programs in Macon, Atlanta, and Douglas County and graduate programs on the Atlanta, Macon, Newnan, and Savannah campuses. Stetson holds the highest accreditation for business education by the Association to Advance Collegiate Schools of Business--International. Applicants to the Stetson MBA program at Mercer must provide the school with a completed application form, two sets of official transcripts from each postsecondary academic institution attended, a resume, and an official GMAT score report showing test results no more than five years old. In addition, international applicants whose first language is...Applicants to the Stetson MBA program at Mercer must provide the school with a completed application form, two sets of official transcripts from each postsecondary academic institution attended, a resume, and an official GMAT score report showing test results no more than five years old. In addition, international applicants whose first language is not English must demonstrate English proficiency through TOEFL scores. All students who received undergraduate degrees abroad must, at their own expense, provide an independent evaluation (and, where appropriate, a translation) of their undergraduate records. International students must additionally demonstrate the ability to finance their education at Mercer. Mercer University was founded in 1833. The University has 11 schools and colleges and four regional academic centers across the state of Georgia. Mercer is the only independent university of its size in the country to offer programs in 11 diversified fields of study. The Eugene W. Stetson School of Business and Economics, established in 1984, provides a balanced curriculum that blends the theoretical with the application so students can put what they learn into practice immediately. Stetson School of Business and Economics is accredited by the Southern Association of Colleges and Schools (SACS) and the prestigious AACSB International-- the Association to Advance Collegiate Schools of Business. The School offers a variety of graduate programs on the Atlanta campus. One of Georgia’s premiere higher-learning institutions, Mercer University offers several business degree options on its graduate-focused Atlanta campus: a flexible evening MBA, an Executive MBA, professional MBA, virtual MBA, a master of accountancy (MAcc), and a one-year full-time MBA (the only of Mercer’s various campuses that offers a full-time option). The school is also home to “one of the only pharmacy programs in the country to offer a dual MBA/PharmD degree.” Mercer’s flexible MBA is popular with local profes­sionals, who call it “Atlanta’s most accommodating MBA program for working students.” For part-timers, “Classes meet one night a week for eight weeks, so it’s possible to take classes even when you have a full-time job and other commitments.” On top of that, pro­fessors “understand we work full-time and have family obligations, so the workload is moderate but challenging.” How challenging is up to the student: “Some take their time with one class per session, others overload to finish early.” The full-time MBA is likewise efficient, covering business fundamentals in an intense, cohort-based program that spans less than one calendar year (though students who did not study business as an undergrad­uate must take additional four-week Business Foundations courses before matriculation). Known for “academic excellence in finance and accounting,” Mercer’s curriculum covers business fundamentals from economics to communications. After completing the core, students take electives, including a required international business class or an overseas trip. Throughout disciplines, Mercer employs “strong professors with real-world experi­ence,” who are able to offer an “in-depth understanding of what we were learning in class and how it applied to the business world.” On top of that, Mercer’s “small class size” lends itself to “team-oriented projects and a lot of class interaction,” giving students a chance to collaborate, network, and develop their communication skills. Students dole out praise for Mercer’s “extremely dedicated professors,” who balance top-notch business skills with a true desire “to help students succeed.” In fact, “Everyone at Mercer is com­mitted to enhancing the student’s experience.” Like the faculty, “The administrative offices are also helpful,” ensuring the program runs smoothly. Master of Business Administration: 3 programs; 1. Flexible MBA Program: 48 credit hours, up to 9 of which (foundation courses) can be waived on the basis of successful completion of corresponding undergraduate courses; time of completion varies depending on course loads (typically 14-27 months); 2. Executive MBA Program: 48 credit hours, lock step; time of completion is 16 months. 3. Professional MBA Program: 48 credit hours, lock step; time of completion is 16 months. Also offered in Virtual format in Atlanta, Macon and Savannah; 3. One Year Day MBA Program; 4. Master of Accountancy 30 semester hours (beyond 12 - 15 hour prerequisites) 16 - 20 months; Belgium, China, England, France, Germany, Hong Kong (Hong Kong Baptist University), Netherlands, Scotland (Paisley University), Chile, Brazil, Argentina and Switzerland. Belgium, China, England, France, Germany, Hong Kong (Hong Kong Baptist University), Netherlands, Scotland (Paisley University), Chile, Brazil, Argentina and Switzerland. Jo Ann Herold - VP, Brand Communications & PR + Vice Chairman of Arby's Foundation, Arby's Restaurant Group, Inc.
Want more info about Mercer University, Stetson School of Business & Economics Distance MBA? Get free advice from education experts and Noodle community members. What’s the student experience like in the Stetson School of Business & Economics’ Virtual Professional MBA program?